For American Flyer Track and other Equipment. This is the original A. F. formula smoke fluid. liquid smoke units as it won't clog the wick. Big 2 oz. bottle produces rich smoke in seconds. that claim to be "similar". 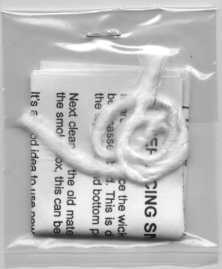 Smoke Cleaning Kit All Kits are supplied with Instructions. Now you can get all your steam engines smoking just like new. to rebuild smoke in tender smoke box. See even more smoke unit parts on the Steam Parts Page. ALL NEW Appearance Cleaning Kit. Want to make all your American Flyer equipment look like NEW? This is the kit to do it. Not only do you get all the supplies, but a comprehensive booklet. You will be able to clean all your equipment safely. 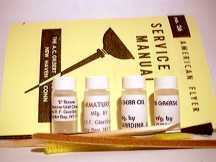 Booklet "Cleaning American Flyer Trains"
A new High Tech oil in a convenient pen oiler. This oil can be used almost anywhere. The high viscosity, allows it to coat and stick to surfaces. The kit also contains the maintenance tools you'll need to do most jobs. Also included in the kit is a reprint of the American Flyer Service Kit Manual. best track cleaner they've ever used. A high viscosity oil, specifically designed for gears. High quality non-gumming instrument oil. In a Tube oil feeder to reach tight spaces. For coal loader & dump cars. American Flyer & Lionel reverse units. Stop sticking and poor finger contact. remove grime & oxidation, (white residue). Strong cleaner and polish for though jobs. 2 oz. Concentrated cleaner. Use before Metal Black for best results. 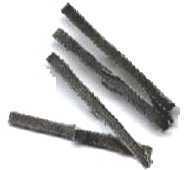 Helps prevent rust, and used to deepen the black of Metal Black. with detailed instructions on American Flyer Train maintenance. Track Cleaner or any clean ups. Concentrate mixes 10 to 1, makes 20 oz. 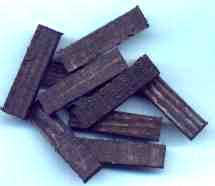 of ferrous metal blackener. 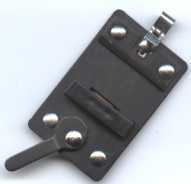 Kit also contains Metal Cleaner, Metal Preservative and instructions. Specially formulated cleaner to clean armature commutators without danger of damaging the wire insulation. Kit contains Track Cleaning Fluid plus sanding stick, Cleaning Cloth, Abrasive Cleaner, Metal Preservative and instructions. 6" long, wood handle cotton tipped applicator. Use for cleaning or applying lubricants in tight spaces. in Tender units. Used for both "S" and "HO". Kit for repairing American Flyer Smoke in Tender units. Kit contains 1 #2530 Bellows, 1 bottle 1153 Glue and instructions. Please order by RFG part number. Items must be ordered in the multiples listed. Quantity = Actual number of parts. track ties - LOOKS GREAT! !